Have you stopped by the new IT Service Center at the OTC Springfield Campus? 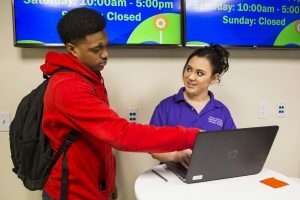 Conveniently located in the Jared Family Welcome Center, our new IT Service Center is here to help you with all of your information technology needs. Are you having trouble connecting to OTC’s Wi-Fi networks? Is your current connection suddenly not working? We are here to help you get back online. Did you know you can print wirelessly on campus from your phone, tablet or laptop? We can set that up for you. Do you need a new password? Or, are you having trouble remembering your current password? We can walk you through the process of a password reset. As an active OTC student, you can receive a subscription to Office 365 for free. Plus, you can install it on up to five personal devices. If you are installing Office 365 and need assistance, we are here to help. Do you need to purchase a new computer or tablet? Are you feeling overwhelmed by all the options out there? Stop by so we can share our top picks with you. 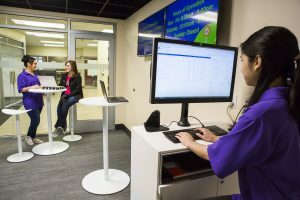 The college’s new IT Service Center is located at the OTC Springfield Campus in the Jared Family Welcome Center. The IT department also has a Helpdesk location in Graff 205. Additionally, IT staff are available to assist OTC students and employees at all of the college’s campuses and centers. Find answers to common IT issues here, or open a ticket here. For more information about OTC IT, call 417-447-7548 or email helpdesk@otc.edu.